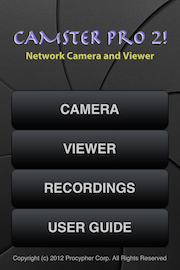 Instantly turn your iOS device into a real-time live wireless network camera! No network setup required, just press a button to view and record your device's live camera images from anywhere in the world! 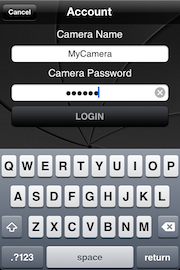 Your device's camera images can be viewed by 1 or more iOS devices or web browsers simultaneously. Also, record in camera and viewer mode for up to 48 continuous hours. Install on multiple devices for viewing and recording multiple network cameras at your home or business. 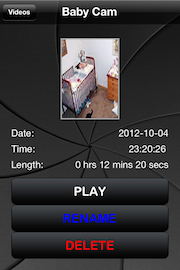 Great for use as nanny cam, surveillance camera, baby cam, security and entrance camera, spy cam, vehicle anti-theft camera, property protection cam, network camera, web cam, etc. 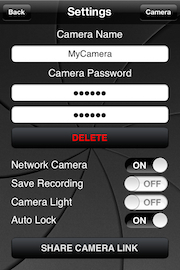 Super easy to use, no need for any network configuration setup or third party vendors to view your device's camera images remotely, which is normally a very complicated and costly process to go through for a personal network camera.